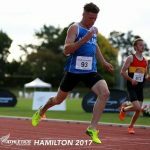 The World Masters Games took over Auckland for 10 days and we caught up with competitors and medalists. Some fantastic and inspiring stories, including an interview with the all-conquering Sally Gibbs. 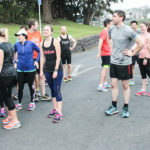 Hamish and Hayden also go through the running news from around New Zealand and from Kiwis around the world including the London Marathon, the Waitomo Trail Run, Orewa Half and the Shaw Baton Relays. 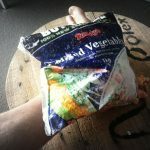 This entry was posted in Kiwi Running Show, Uncategorised and tagged athletics, Hayden Shearman, London Marathon, Sally Gibbs, Waitomo Trail Run, World Masters Games. Bookmark the permalink. ← Strong: 023 – It’s Leg Day!